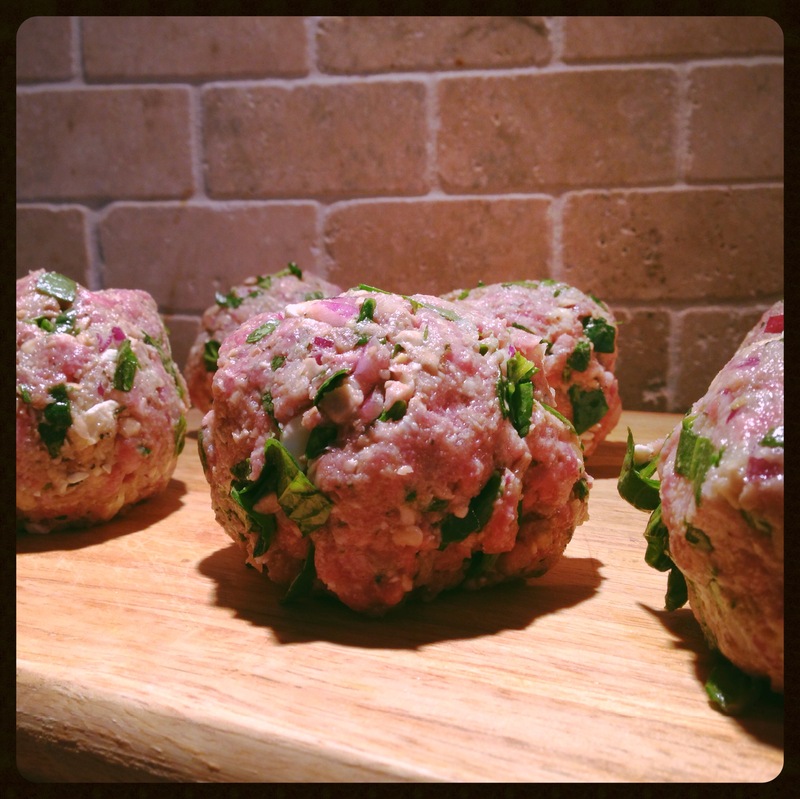 A few months ago, I made lamb meatloaf muffins. They weren’t really planned at that time, but rather an on-the-fly switch at the grocery store when I couldn’t find any ground chicken. With that in mind, there wasn’t a great deal of planning that went into the meal, and what was really missing was a sauce – specifically a nice cool cucumber sauce, also known as tzatziki sauce. This is the stuff you get when you order gyros. The yogurty, cucumbery, deliciousness usually smooshed into a little plastic cup next to your sandwich. For this post, I’m sharing my homemade take on this sauce (and also a reboot of the lamb muffins as I made them this time, and a side of sauteed vegetables). This sauce also tastes great on lamb burgers, and really any lamb dish you may make. Pretty simple, here. Prepare all the ingredients as noted in the list above and add to a mixing bowl. Stir well to combine, and place in the fridge for at least two hours before using. Ideally, make this a day in advance to get the flavors to fully combine. This next little bit is not really a recipe, so much as another use for this sauce other than serving with ground lamb dishes. 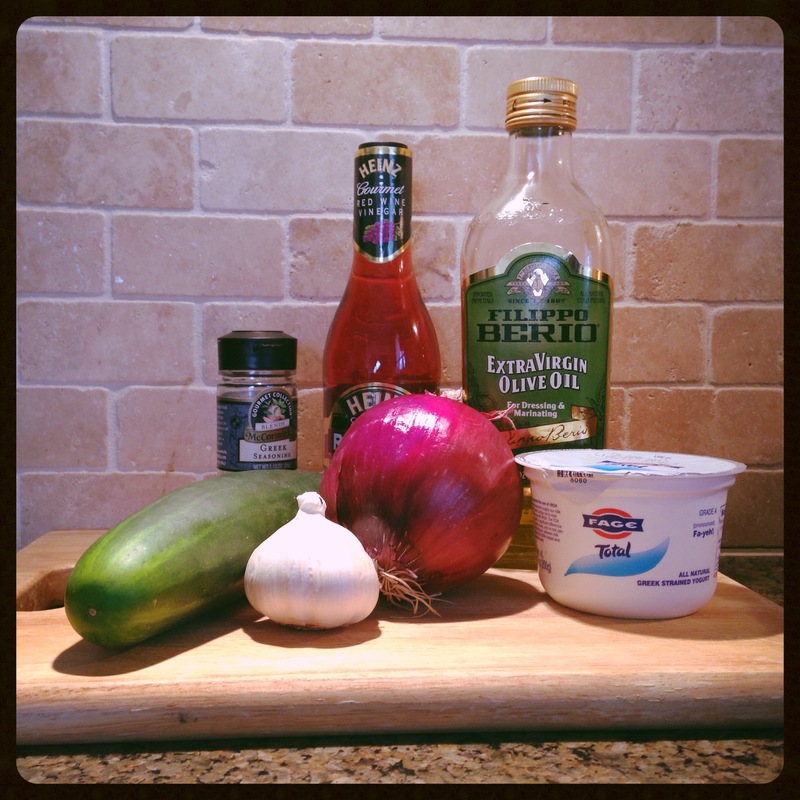 I sauteed a bunch of fresh vegetables to have on the side with the meatloaf muffins, and as an afterthought, I added a dollop of this tzatziki and stirred it in. 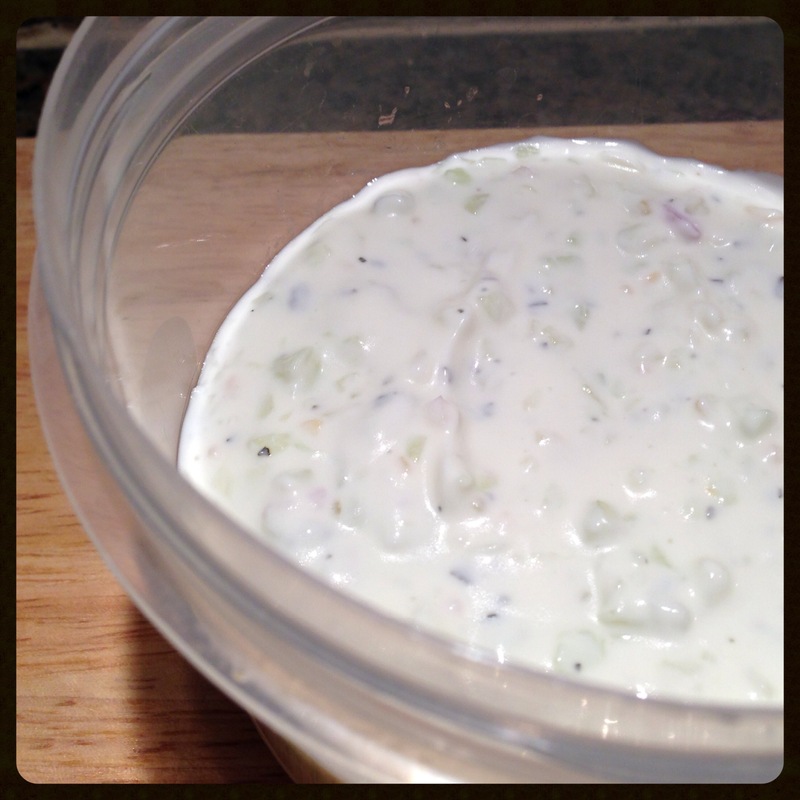 It tasted fantastic, and is a much healthier alternative to heavy cream or cheese sauces. My choice of veggies included red bell pepper, zucchini, onion, mushrooms and cherry tomatoes. I sauteed them in olive oil with a little dash of Greek herb blend and lemon juice. 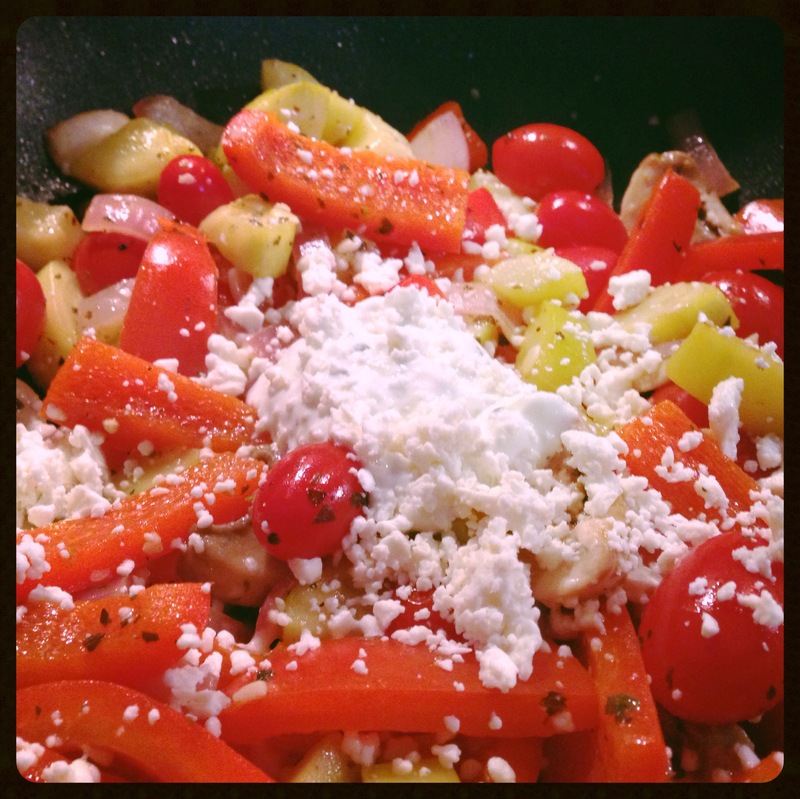 At the end, I added a few feta cheese crumbles and about two tablespoons of the tzatziki. Because the sauce is light, the veggies made an excellent complement to the heavier, richer lamb muffins. Additionally, we took the leftover veggies and leftover tzatziki to make a delicious cold vegetable salad for lunch the next day. I sliced up the other half of the cucumber that was left over from making the sauce and put that, the veggies and the tzatziki in the bowl and stirred them together. The flavors worked just as well cold as the did warm the night before. Preheat your oven to 400. 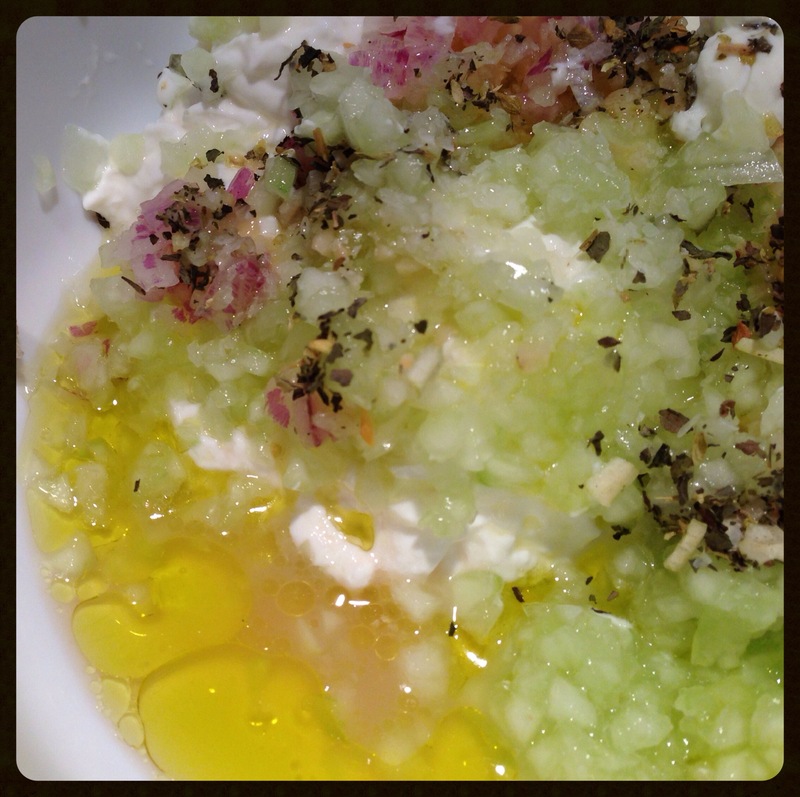 Mix all the ingredients in a mixing bowl, reserving 1/4 lemon and a few feta crumbles for topping the muffins. Work all of the ingredients together gently in the bowl and form into balls based on the number of cups in your muffin tin. 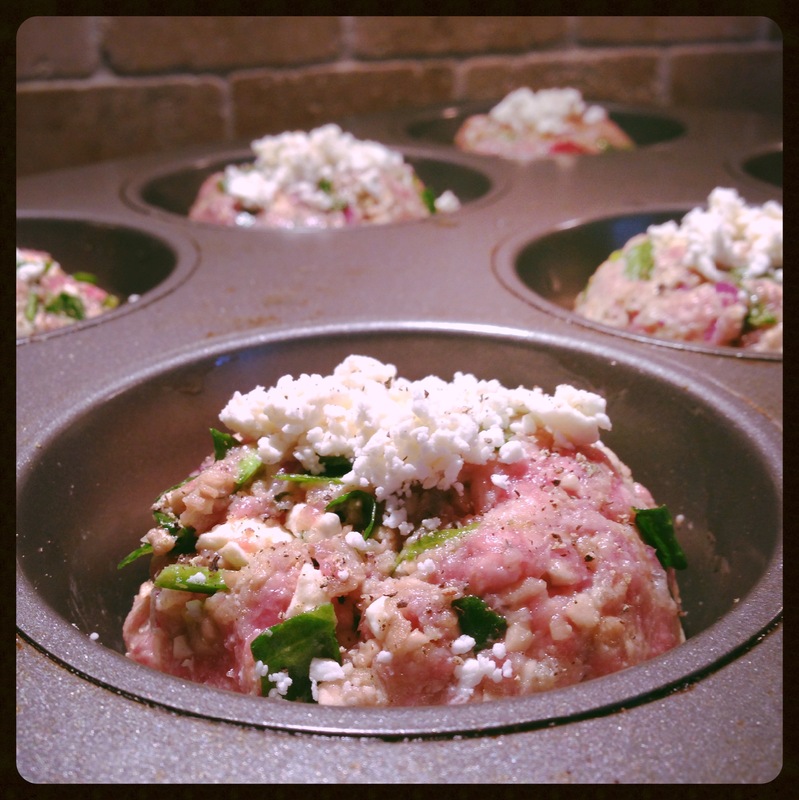 Lightly coat the muffin pan cups with olive oil and place the meat into the pan. Top each muffin with a few feta crumbles and a light squeeze of lemon juice. Bake for about 30 minutes, and let stand for at least 5 minutes after taking them out of the oven. 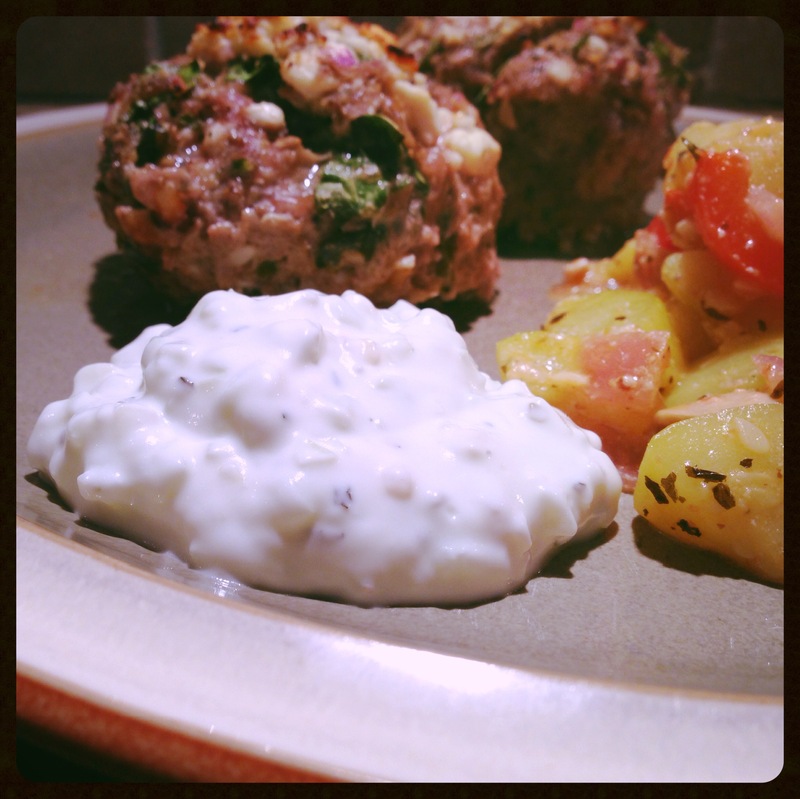 Serve with a side of satueed vegetables and a healthy dose of the tzatziki sauce. I like to serve the sauce on the side and drag my fork through the sauce before picking up a bite of meatloaf, but it works well served over the muffins as well. This round came out quite a bit better than my first crack at lamb muffins. 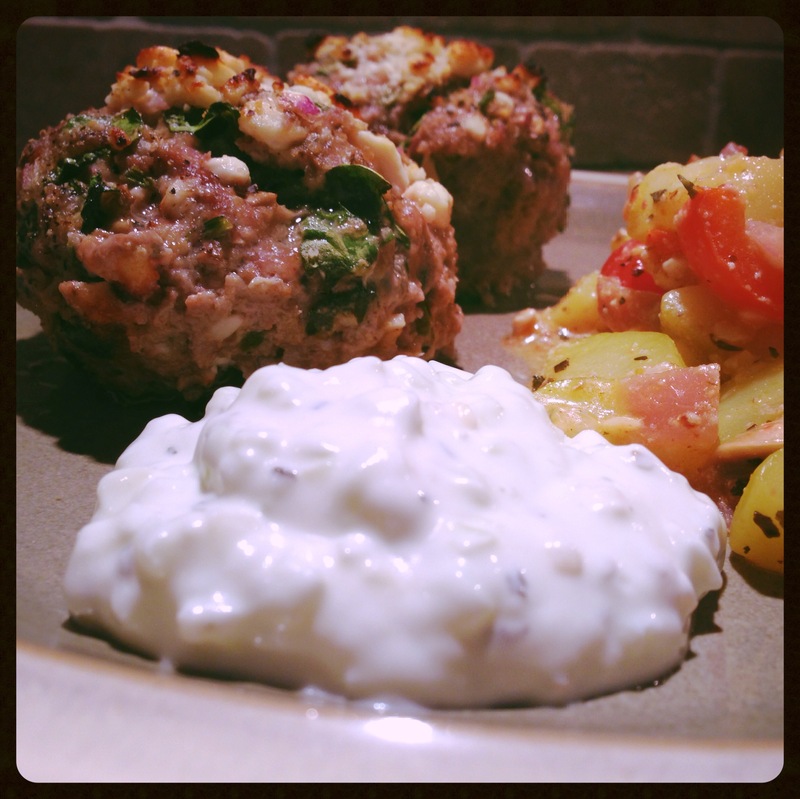 The feta added the perfect salty creaminess to the muffins, and tzatziki tastes good on everything. Moreover, once you’ve made your own fresh, homemade tzatziki, you’ll never look the same way at those little plastic cups you get at your local gyros joint again. 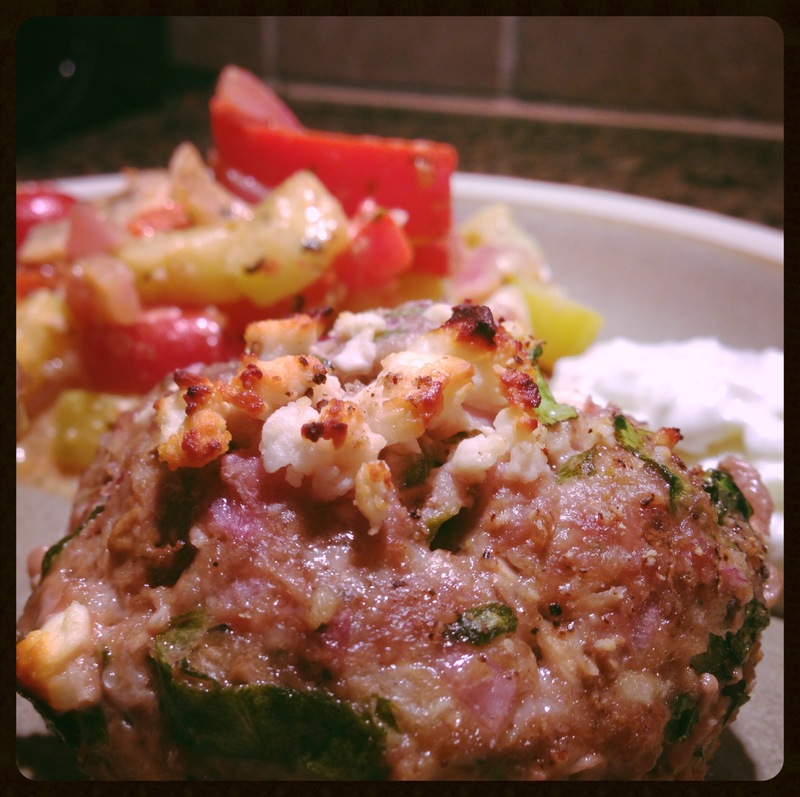 As always, this recipe was tested on our little guy, and he absolutely loved it, lamb, feta, tzatziki and all – Enjoy!